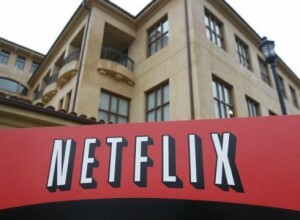 Netflix has paid $9 million dollars to settle a privacy-related legal action, a financial filing has revealed. The company, which made no admission of wrongdoing, said the settlement related to compliance with the Video Protection Privacy Act. The 1998 US law prohibits the disclosure of video rental histories and it is reported that the legal action involved allegations that Netflix was failing to delete the viewing histories of customers who had left the service. The settlement dented in Netflix’ results, after accounting for the payment fourth-quarter earnings fell from $40.7m to $35.2 million. The Video Protection Privacy Act (VPPA) was passed after a newspaper disclosed the viewing records of then US Supreme Court nominee Robert Bork. The viewing habits revealed were innocuous, but the fact of their release generated sufficient concern to result in the passage of the VPPA. As well as preventing disclosure of the rental history the act requires that “video stores destroy rental records no longer than one year after an account is terminated”. Allegedly, Netflix kept records of what subscribers watched for up to two years after they had cancelled their accounts. Netflix has in the past argued against parts of the 24-year-old VPPA, which it maintains prevents it offering a Netflix Facebook app in the US.